Montreal, Quebec, June 14, 2017 – X-TELIA is launching a network in Quebec entirely dedicated to connected things. 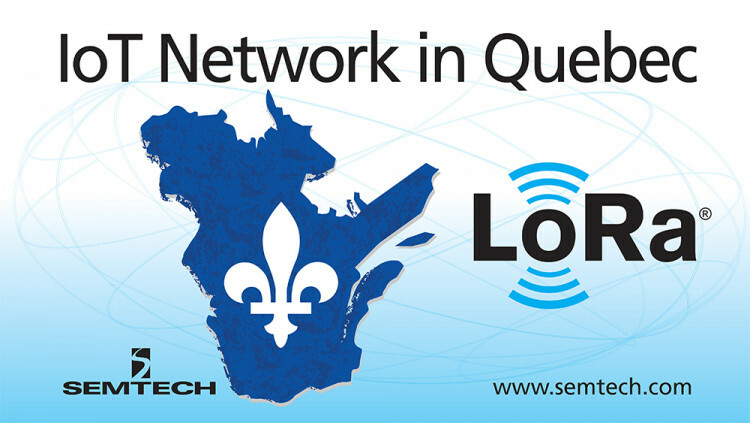 Using Semtech Corporation’s (Nasdaq: SMTC) LoRa® devices and wireless RF technology (LoRa Technology) and the LoRaWAN™ open communication protocol offered by the LoRa Alliance™, the X-TELIA network is the latest project by Quebec entrepreneur Eric Bourbeau. Now at his fourth ICT company in Quebec, Bourbeau boasts 28 years of experience, including 15 in upper management at TELUS.